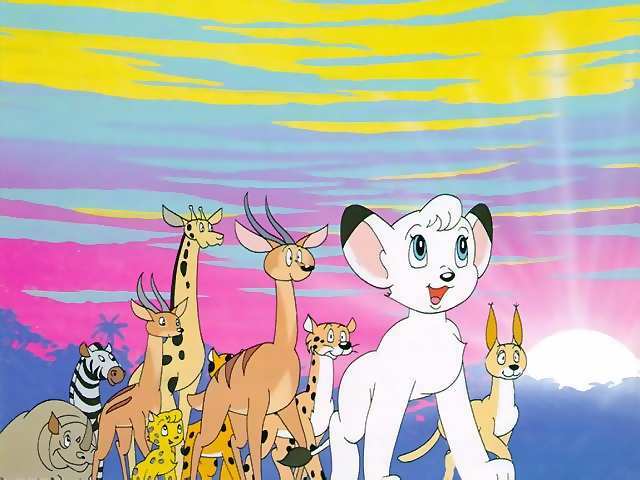 A collection of Kimba pictures. Click on the little picture to see the big picture. 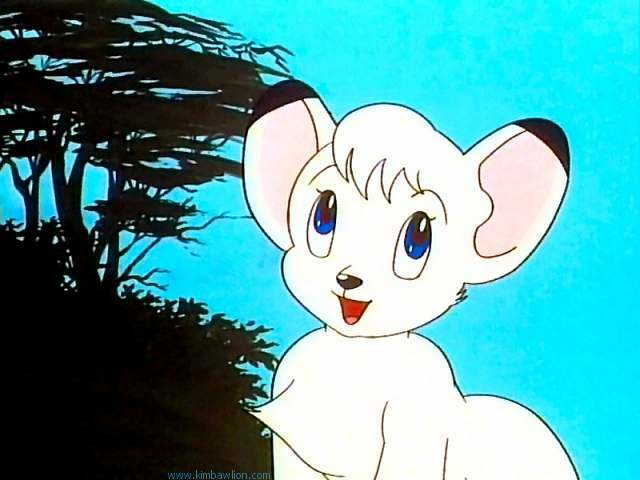 As translated from the Japanese, "Mama became a star". 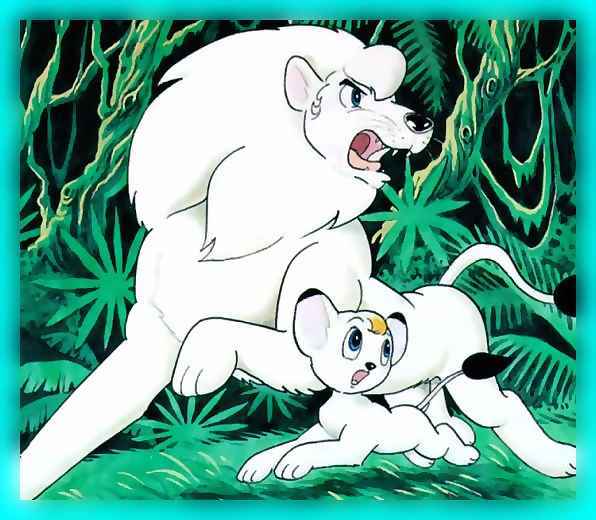 Caesar and Kimba. 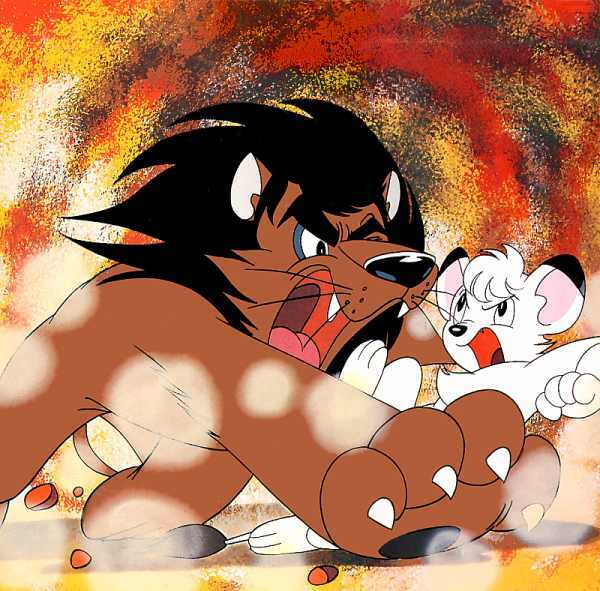 A scene that never happened, but popular on merchandise. 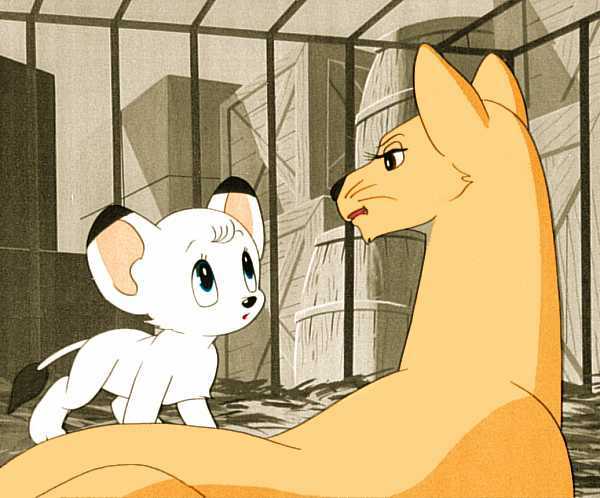 Kimba and his mother on board the ship (in the first episode). 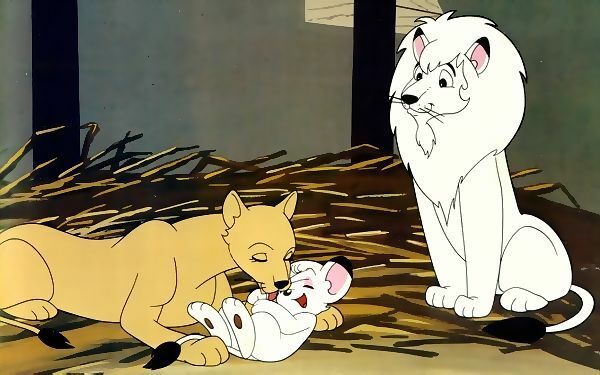 A scene from Kimba's dream of his parents. Nice pose from the episode "Battle at Dead River". 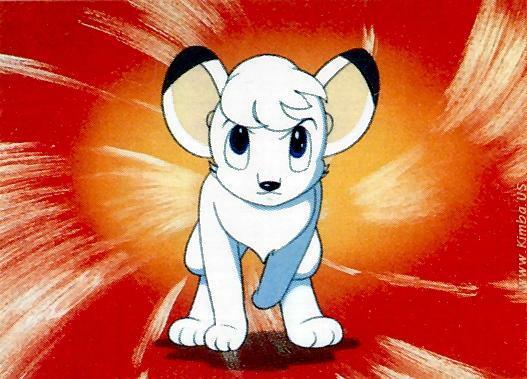 Kimba running right at you! 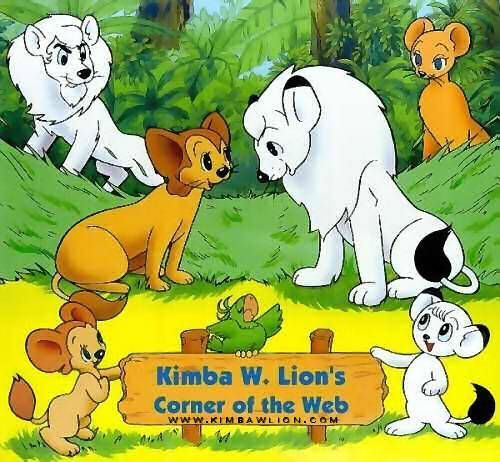 This is Kimba and Kitty with cubs of their own, from the Leo The Lion series. 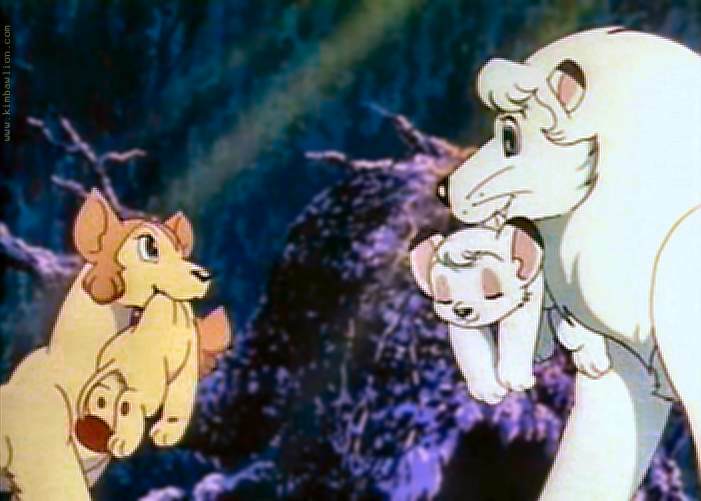 This is a small picture, but a moving one. 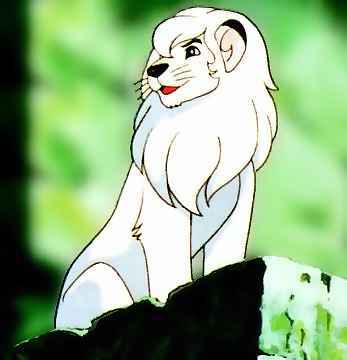 This is probably my favorite pose from the 1997 movie. 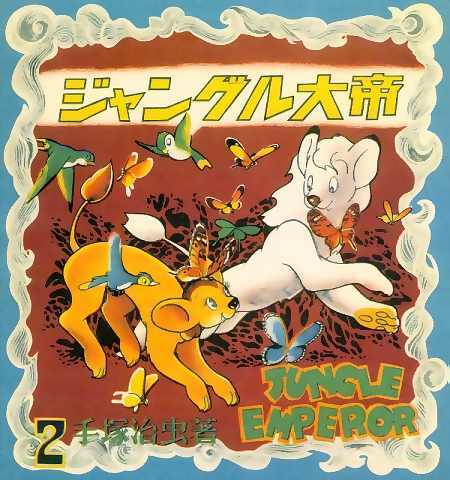 In honor of Kimba's 60th birthday (check it out--Tezuka's manga first appeared in 1950! ), a bit of history. By request: A former Welcome screen for this site. 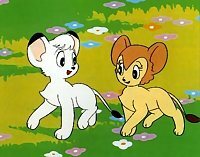 Kimba's new friend: a tiger cub. Kitty gets her own page of pictures. 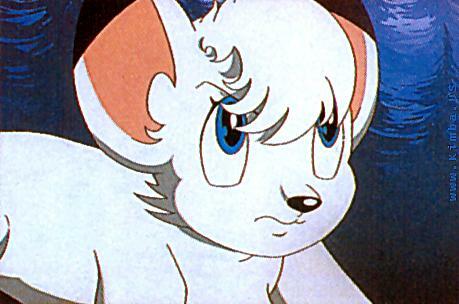 and click on some names in the character list for more pictures! 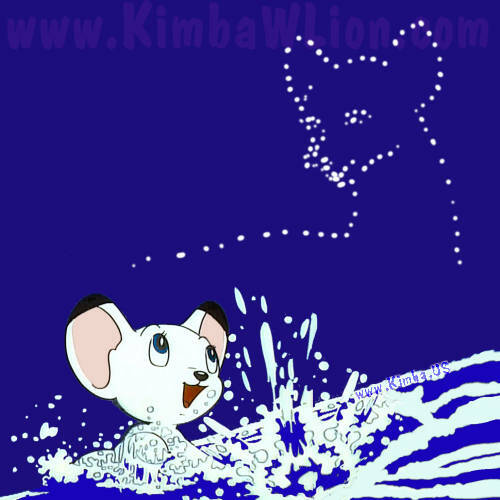 Click here for some unusual, but "official" Kimba pictures. This page changed August 6, 2011.